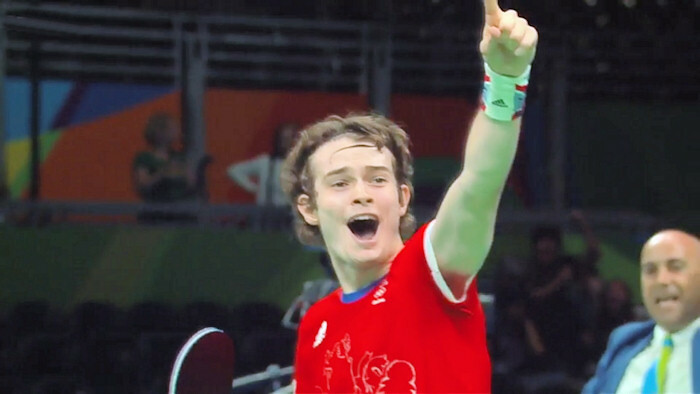 The draw for the men's team event at the 2016 Olympic Games table tennis event took place on Wednesday 3 August 2016. There were 16 teams in the team event and a traditional knockout format was used. The losing teams in the semi-finals played-off for the Bronze medal. Teams consisted of three players each. Each team match is called a "contest" and was the best of three out of five matches. A contest consisted of two singles, followed by one doubles, followed, if necessary, by one or two more singles until one team wins three matches. A team may play with only two players if the third player is injured, ill or disqualified - however, they forfeit the two matches which were due to be played by that third player. If both teams only have two players, the contest will be the best of two out of three matches. The order of play will be a singles match, followed by a doubles match, followed, if necessary by a final singles match. You can see how they qualified for the men's team event here and see the men's team event seedings here. 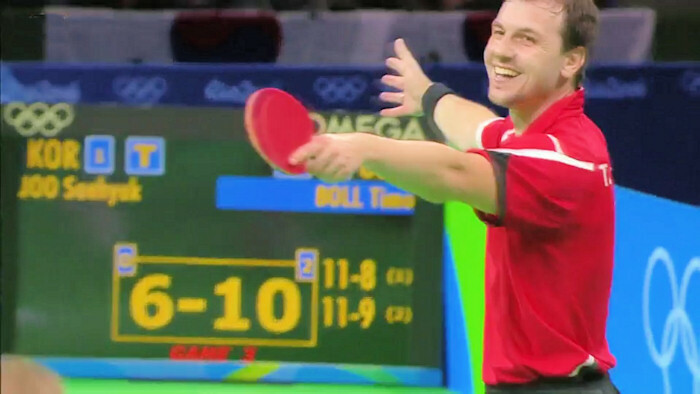 How did table tennis become an olympic sport? Which events make up the olympic TT competition? 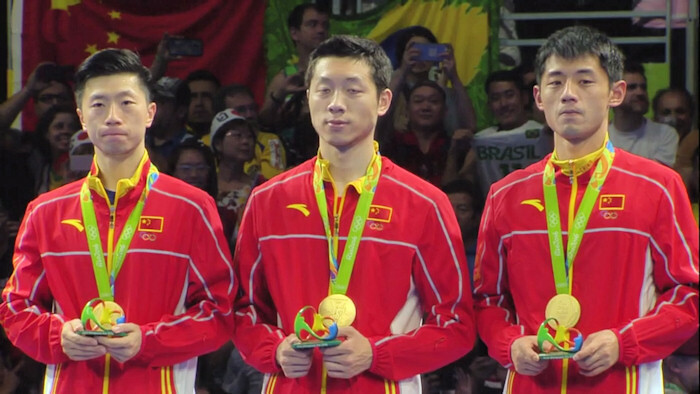 Who are the olympic medallists? 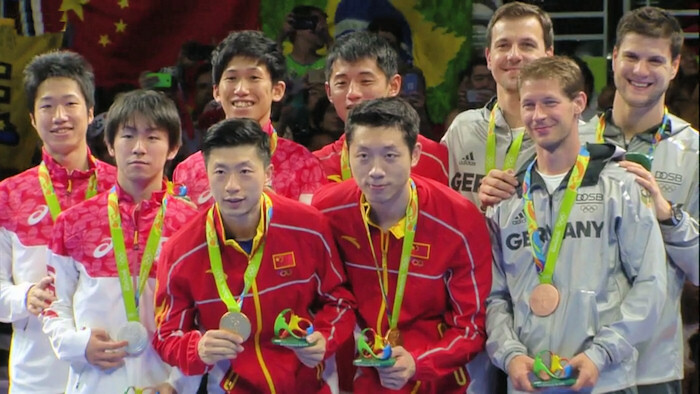 Who won the 2004 Olympic Men's Singles Gold Medal? Which men qualified for the 2008 Olympics? Which women qualified for the 2008 Olympics? 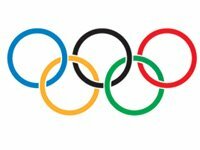 Which mens teams qualified for the 2008 Olympics? Which womens teams qualified for the 2008 Olympics? 2012 Olympic Games - How do players qualify? 2012 Olympic Games - Which players have qualified? 2016 Olympic Games - Which players have qualified? 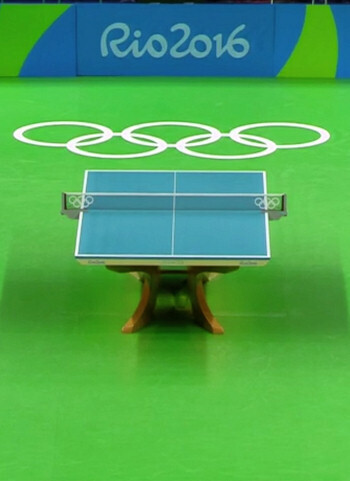 Who are the table tennis officials?